The Corning Museum of Glass explores the material's history from ancient artifacts to contemporary artwork. 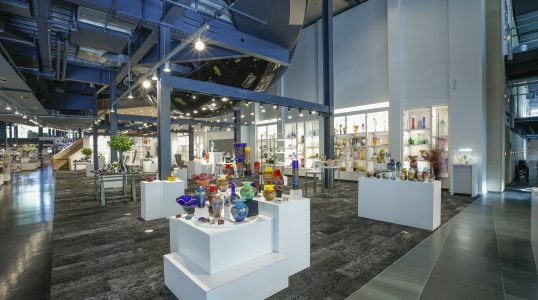 Besides its glass collection, the Museum also includes the Rakow Research Library, glassmaking demos and classes at The Studio, and a large shop featuring objects from local and international artists. The Museum was established in 1951.